One of a kind opportunity to own a turnkey brewery and pizzeria. Established in 2013, Chief Springs has operated as a successful business and mainstay in historic downtown Dayton Washington. This sale includes two commercial buildings, large outdoor patio, parking lot, equipment and inventory. Just a quick 30 minute drive to Walla Walla. Call for your personal tour today! Full listing is available here. The Port of Columbia has shared this information and is neither the realtor or the business owner. Please contact kathryn@portofcolumbia.org for more info. This is a remarkable chance to own a long time established, very well respected, full service retail floral and gift store. 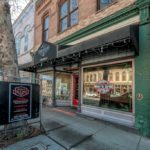 Excellent high traffic location in charming and historic downtown Dayton. Snapdragon Floral services the Dayton, Waitsburg, Pomeroy, and Walla Walla areas with incredible custom floral designs, quality products, candy, and unique gifts for all occasions. The sale includes building, equipment, fixtures, and business. Price does not include inventory. Call for your private showing today. Don’t miss this amazing opportunity! This gracious boutique hotel is listed on the National Register of Historic Places. Build in 1890, the hotel was extensively renovated in 1994 and features 15 spacious guest suites, each with private bath. Each suite is furnished with an exquisite collection of Victorian-American antiques dating from 1830-1890, which are included in the sale. While the hotel has been elegantly updated with modern conveniences, great care was taken to ensure that the original character of the building is preserved. The original grace, the high ceilings, heavy doors and Victorian moldings still remain. Fronting on Dayton’s Main Street, the hotel’s expresso bar and gift shop are frequented by both guests and residents alike. The accompanying vacant parcel is currently used as a parking lot for the hotel and is included in the sale price. The roof terrace is a popular spot for planning the day’s activities at breakfast and a late afternoon-evening glass of local wine. Weinhard Cafe & Bakery is a well established dining spot in beautiful historic downtown Dayton WA. Excellent reputation for having friendly service and combining the highest quality, freshest foods available to create exquisite dining experiences.One of a kind opportunity to purchase this turn-key business located in high traffic location for locals and tourists. Business is currently licensed to sell beer and wine, has a very welcoming comfortable ambiance, and can accommodate 53 patrons, 47 inside 6 on the patio. Building is included in sale. 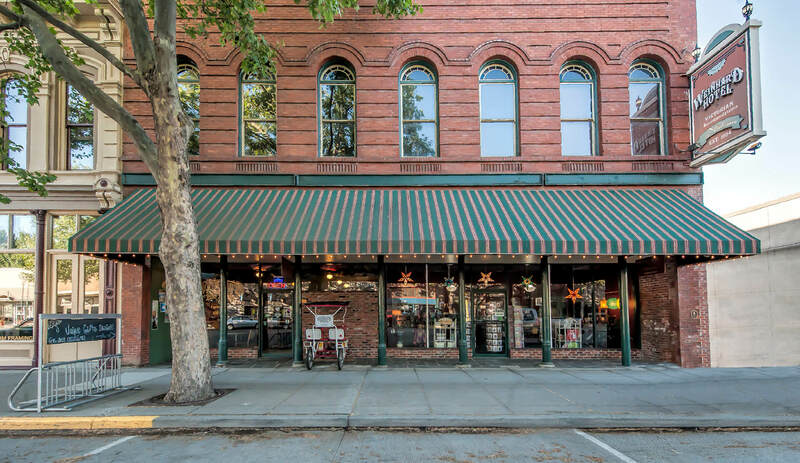 Woody’s Bar and Grill: a historic building with family-friendly menu, room for live entertainment, and game room. Continue the tradition with this staple of the Dayton community and turn key operation. The historic bar, interior brick facade, tall ceilings, neon lights, and wood floors make this a welcoming establishment. Perfect timing to open with spring, summer, and all wheels weekend. Full commercial kitchen with all equipment and furnishings included. Full listing is available here. Contact Travis Watts with Coldwell Banker for more details at 509-386-0955.